Sprinters that seat and sleep four people are relatively rare, but the Charlton was built by a home builder to accommodate his family of four. For you that means the interior is exquisite, and there is room for everybody. You name it, this van has it. 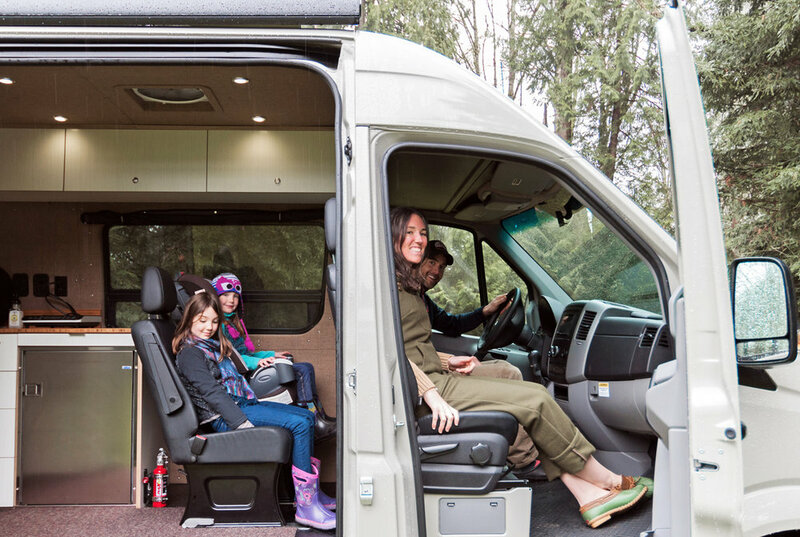 Completely off the grid capable, this van includes solar and electric everything. You could go for weeks and weeks without needing to recharge. The custom cabinetry throughout was created by the van's owner; every little detail is dialed in to perfection. A 22 gallon fresh water tank provides water to the sink and an outdoor shower for rinsing off after a long hot day. Ceiling vents and fans keep the cabin cool on those hot days, while a diesel powered heater keeps you cozy on cold nights. 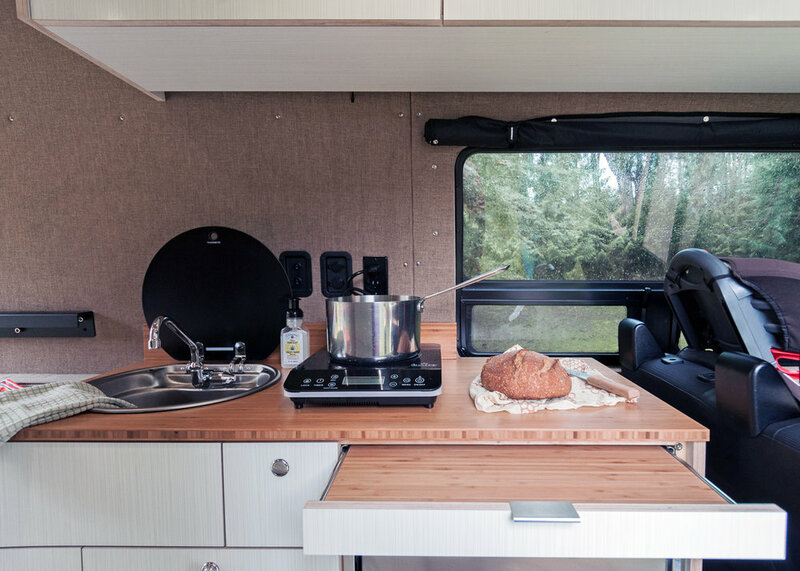 The kitchen is spacious and includes an oversized fridge that'll stay reliably cold throughout your journey. A pull drawer cutting board provides extra counter space or a place to slice bread and chop vegetables for a meal. The dining area in the back of the van seats four comfortably, though you could easily invite some new campground friends over for dinner as well. The table lowers to create a bed platform that is very spacious for two people at 76" long x 69" wide. 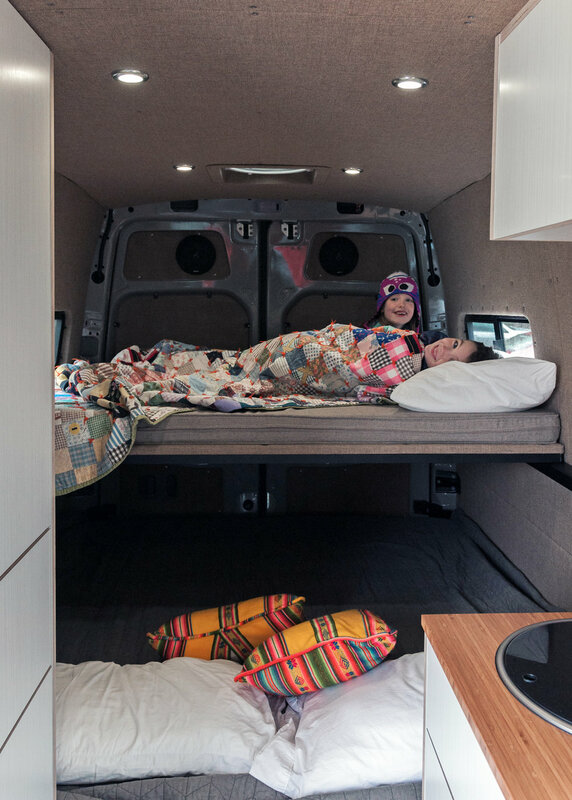 If you are traveling with kids, you can create a top bunk that is 49" x 67", perfect for siblings or best friends. Car seats fit comfortably in the back row, there is a hitch for attaching bike racks as needed, and coat hooks in the main cabin help keep your gear out of the way. 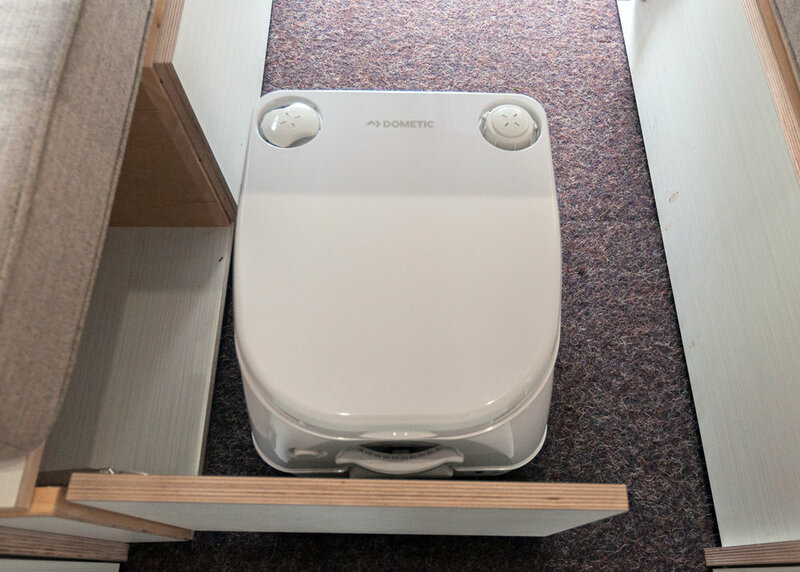 A portable toilet tucks into the base of the bench seat. Again, this van has it all! Now all you need to do is let your fellow travelers know you’ve booked this van! To reserve The Charlton, click here or the Reserve Now button above.